Great process - so grateful that our foggy window is fixed! Measured within a day or two and installed with very reasonable 2 week wait time after that. Thanks Sarah and team! Fast and honest. They did an amazing job on my window that was broken. Mansell and Matthew were professional and courteous, and they love their job (not something you see everyday in the trades). I realized after speaking with my neighbor that she has been using window fix and has been very happy with their work also. Based on the age of our home and windows, we will be using them again in the future! Sarah called within 30 minutes of having requested a quote online. Then, Matthew and Keith came to the house the same day. They were courteous, friendly, knowledgeable, and professional. They repaired the windows as promised - all in less than an hour. I’ll refer WindowFix to anyone needing a window repair. Thank you. Windowfix replaced 2 of our 11 year old windows that had lost their seal and become clouded over. We found the Windowfix personnel to be totally professional; punctual, polite, informative, approachable, and personable. Their pricing was very acceptable as was the deposit to retain their services. From placing the initial call to having the job completed took 7 business days. We recommend their services and will use them again should the need arise. WIndowFix.ca has done an amazing job for me. They have been to my house 3-4 times to replace windows, and for caulking over the last few years. They are consistently prompt, professional and provide an excellent service. I would recommend them to everyone! WindowFix.ca specializes in residential window repairs for clients in Oakville, Burlington, Milton, Mississauga and the Greater Toronto Area. 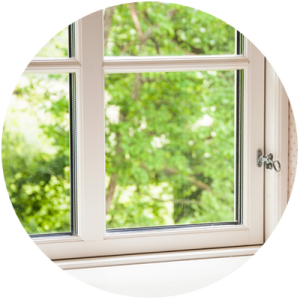 Whether you need your window cranks or hinges replaced, have foggy or cracked window glass you need replaced, or your windows will no longer open and close properly, our experts will get your windows working properly for a fraction of the cost of replacement. Keith Childerhose and Sarah Taylor began their home repair business in the spring of 2007. The need for a reliable and trustworthy handyman was evident in the area, and their business quickly grew.